Amritsar Sahib (KP) – Only two weeks after Akal Takhat Sahib's appointed Jathedar, Singh Sahib Giani Gurbhachan Singh, asked worldwide Sikh bodies to refrain from getting into the controversy regarding the actual date of the Gurta-gaddi of Guru Granth Sahib Ji, the Delhi Shiromani Gurdwara Management Committee has announced that they will not take part in any celebrations at Takhat Sri Hazoor Sahib as the management does not comply with the Nanakshahi Calendar. The Delhi based Gurdwara committee has already concluded its Gurpurab celebrations as it had a nagar kirtan on October 19th. Paramjit Sarna, who has from time to time angered the Sikh Sangat, was the one to make the announcement on the behalf of the DSGMC after the conclusion of the nagar kirtan in Delhi. According to Sarna, since the Hazoor Sahib management follows the Bikrami calendar, they are violating the Akal Takhat Sahib hukamnama which asks all Sikhs to celebrate religious days according to the Nanakshahi calendar. Although Sarna's concerns are in accordance to the initial Nanakshahi hukamnama, the recently installed Jathedar has already asked Sikhs not to bring up the issue of the difference in calendar dates. Sarna has been known as Prof. Darshan Sinh's sidekick and has supported other anti-Sikh elements trying to stir up controversies in Panthic circles. Prof. Darshan Sinh has been touring different countries for the sole reason of ensuring Sikhs don’t participate in the Gurta-Gaddi celebrations. Such anti-Panthic propaganda has been geared with the motive of hurting the status of Dasam Granth Sahib and Takhat Sri Hazoor Sahib--both largely attached to the life of Guru Gobind Singh Ji. Panthic circles have been wary of Paramjit Sarna's activities ever since he has entered the Panthic scene. His act of lending support to Jagdish Tytler, Chaman Lal, Rulda Sinh, Ujjal Sinh (RSS unit Delhi) and Avtar Hit (confirm) have not been forgotten. He also infiltrated in the notorious Rath Yatra that reached Nankana Sahib along with a gang of RSS leaders. Panthic organizations have taken strong notice of Sarna’s recent announcements and have condemned him for diverting the attention of the entire Sikh Nation from the grand event being organized at Takhat Sri Hazoor Sahib. Sarna has made the announcement to go against the SGPC but in reality he does not understand he is also defying the entire Panth. I have moral trouble with very concept of 'Nanakshahi' calender even though it was forced upon greater Sikh community and thus sowing the seeds of division among Sikhs. My aim here is not to flame or incite anyone. I am not speaking for any organization but as an ordinary Sikh of Guru Gobind Singh ji. Firstly, very name of this calender is misleading. By using the word Nanakshahi its proponents have tried to give it legitimacy in general Sikh populace. This Granth (book) has been complete (and improved) in Vadi first in the month of Asaarh in the year smavat seventeen hundred and fifty-five .860. Are we trying to imply Guruji's decision to use bikrami calender was not right or Brahman vaad. 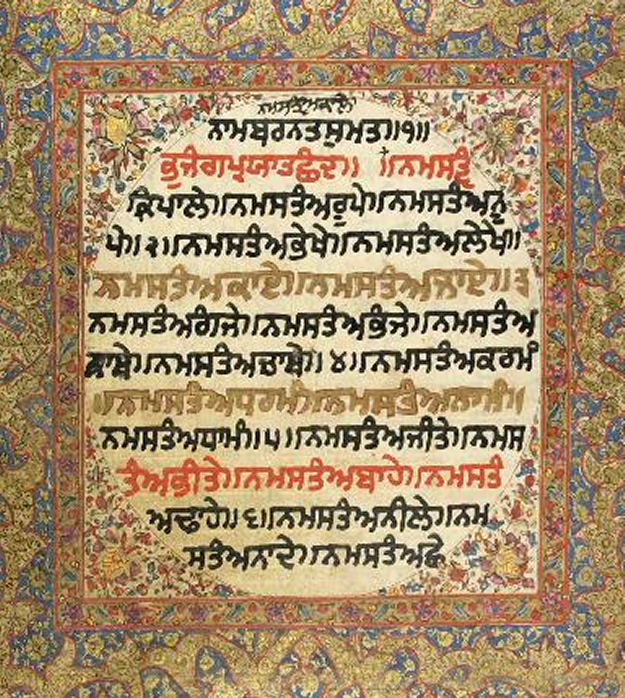 If you look at photocopies of Guru Tegh Bahadur ji's Hukamnamas in the book "HUKHAMNAMAS OF GURU TEGH BAHADUR JI" published by none other than SGPC dharam parchar committee, everyone of the Hukamnama is dated in Bikrami/Lunar date. Finaly, to me Guru de bhane vich rehna is more important than choosing a 'New and Improved' calender. If Bikrami/Lunar calender was/is good enough for my Guru, then its the only choice for me. Trying to deviate from how Guruji's ways is real Manmat. Sarna gaddar even supported Sajjan Kumar's brother in Delhi 2009 election. He also urged Sikhs of Delhi to vote for congress and forgive 84 culprits (when these culprits not even exept their role).